MRG – Roberto, Graça & Associados SROC, Lda, combines classic auditing and tax advice with strategic advice to companies, municipalities and non-profit organizations. Entrepreneurs, government entities and other organizations have to constantly renew themselves. Only those who quickly identify opportunities and risks and act on a secure basis will be able to gain and maintain an advantage. A large number of our clients are with us for many years, especially in audits and independent consultancies. Our routine cooperation and trust allow us to identify trends and quick responses. Our continuous analysis of the conceptual conditions of the economy and legislation, the constant training of our employees and the use of technology, ensures that we can provide quality consulting services. MRG SROC is managed by experienced auditors, tax and economic consultants and a lawyer. 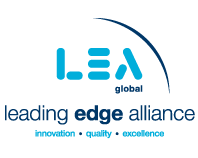 We remain up to date with the internationalization of industry and legal systems through cooperation with other professional colleagues in the Leading Edge Alliance (LEA). As a LEA member, we can access the know-how and contacts of companies and firms around the world.